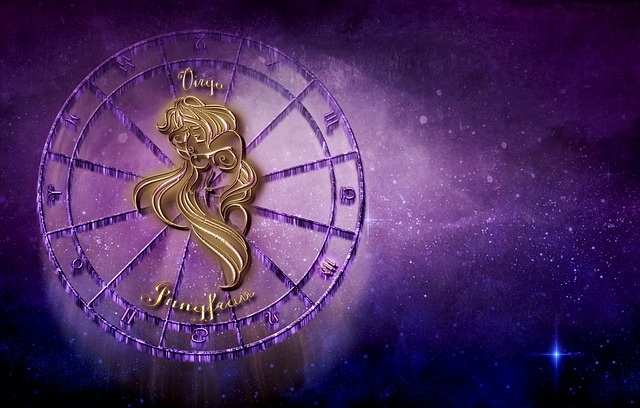 Weekly Virgo horoscopes for the week ending 26th May 2018 – with a difference! We tell you the planetary weather, and you decide how you will plan around it! Will you take an umbrella? Will you dance in the rain? Or will you fall in a puddle? Same weather, different outcomes! This astrological weather report for the week ending 26th May 2018 is for people with predominantly Virgo energies in their chart. For example, this could be if Virgo is your sun sign, rising sign, or moon sign. By seeing what zodiac sign the moon is traveling through, we can work out which areas of life you will instinctively reflect upon for a day or two, and how the energy “weather” will interact with you. With the moon in Leo, your instinct is to turn inward and seek solitude. Consequently, this may clash with a sense of cognitive dissonance you are experiencing with foreign ideas that confront you. Also, you may sense opposition from an aggressive air that your boss is expressing. Also, you are entering a period where your intuition leads you to consider your career goals and public image. Nevertheless, if you can force yourself out of the cocoon you wish to hide on, you do have the ability to communicate positively about where your life is going. As the moon moves into Virgo, you begin to focus on your self more instinctively. Ironically, this enables you to more readily accept any new and foreign ideas you feel presented with. Nevertheless, you feel a little conflicted about your intuition to begin climbing the mountain to your life goals. An opportunity is available for you to receive valuable, or even material, support from your friends or the broader community. However, you must make an effort to obtain this. The moon now travels into Libra, and your instincts shift to material concerns, and your authentic values. This, in turn, enables you to follow your intuition about your life goals and becoming energetic when dealing with practical matters. Nevertheless, you may feel conflicted about your desire to spend time with friends and will need to strike a balance. Also, you may sense that your creative expression is restricted, and this frustrates you. At this time, you will enter into a period where your ability to speak positively and learn an increased amount of information, will enable you to create a vision of what you want from a committed relationship. When the moon moves into Scorpio, your instincts shift to communication, learning, and taking short journeys. It could be that something you say creates is in opposition to new ideas you are engaging. Possibly, you experience cognitive dissonance. Additionally, you may experience an aggressive interaction with your boss.